A full sheet metal shop is on premises to help you with all sheet metal fabrication needs. Air Ref is an industry leader in sheet metal fabrication, allowing you to get what you need in terms of air conditioning ductwork, vents, cabinets and enclosures, precision sheet metal stamping, fabrication for car floor boards or anything else that you need sheet metal for. Our highly skilled craftsmen will be able to design and cut something for your needs or follow your guidelines to create something that you have already designed. We offer metal bending and fabrication and will not only meet but exceed your expectations. We have tight tolerances that are the best in the industry. We also offer a wide variety of sheet metals to ensure that you can find what you need for a particular job. Out professionals can help you choose what you need. From carbon steel to aluminum and even stainless steel, we have what is needed for a number of different jobs. Our equipment is state of the art, our technicians are highly qualified and we are deadline-oriented to ensure that we get the job done on time. We understand that time is money, which is why we work hard to complete all jobs accurately and before the deadline to ensure that you have what is needed to complete your own jobs and deadlines. Sheet metal is used in a number of different industries. While our specialty is in HVAC systems, our full sheet metal shop has the best technicians in the industry. 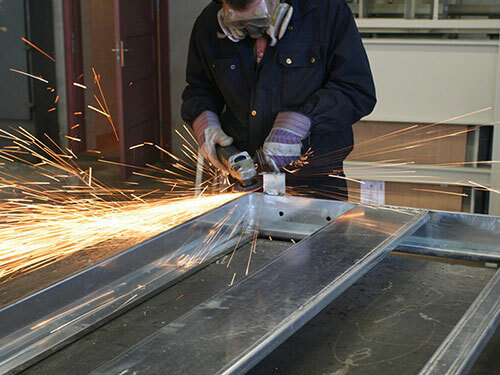 They can cut sheet metal regardless of what industry it is for, from automotive to cabinetry and everywhere in between. We will be happy to provide you with a free consultation to assist you with your needs or provide you with an estimate on a job that you already have laid out.